If you need to easily share something from your Evernote notebook, follow these simple steps and post the share link on a social network quickly and easily. Everyone loves Evernote because of its ability to clip notes and share them across multiple devices like my PC and Mobile phone. What many don’t know however is you can also share your Evernote clips and notes on popular social networks like Facebook or Twitter with just a few clicks. Here, let me show you. 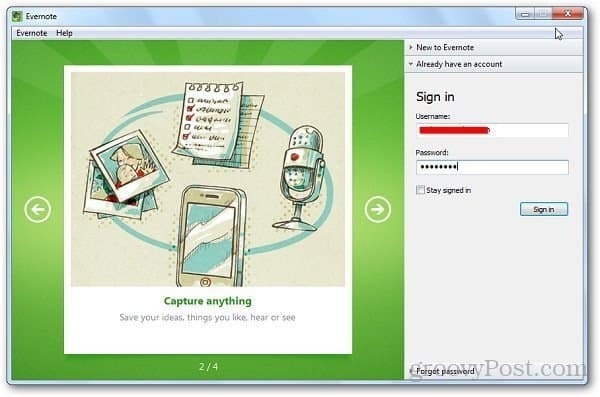 Evernote is available on all popular Operation Systems including Windows, Mac, mobile devices and browsers. If you have Evernote installed, make sure you’re running the latest version. 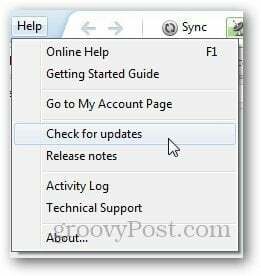 To check for latest version, open Evernote and login with your credentials. Click on Help and select Check for Updates. If there is a new version available, it will ask you to install it. Just update it and proceed to next step. 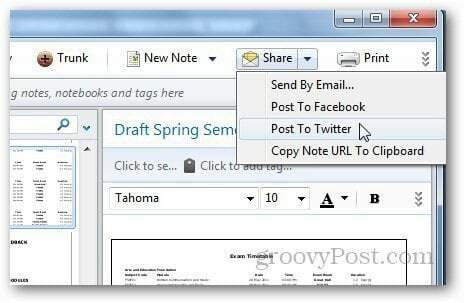 Now, open the note you want to share on Facebook or Twitter, click the Share button above the note and select Post to Twitter or Facebook. Obviously anything you share on Facebook or Twitter will be public and available for others to see it. Anyway, click OK when prompted and Evernote will upload your note to the Social site. The entire note obviously can’t fit in a small Twitter or Facebook message box. Users will need to click a link to be taken to the full contents of the note you just shared. Before posting your Evernote share to Twitter, feel free to customize the link. If for some reason you want to remove a shared note, just go back into the sharing properties in Evernote and turn off sharing. Pretty straightforward.